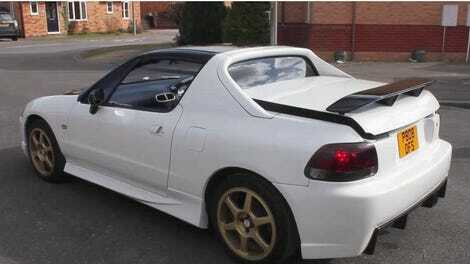 I have extolled the glories of the Honda Del Sol Trans Top before. I have praised its wonder, celebrated its roof-iness. Now there’s one for sale in the United States, in vaunted SiR trim, no less. And you need to buy it because I cannot. It would be bad for my life. Virginia-based JDM car importer (why are they all based in Virginia?) Japanese Classics just got this sweet little 1992 Honda Del Sol SiR in, and it filled with such an insatiable desire for it then I immediately had to shut the page. But then I had to look again, because it is so good. As I noted the last time I obsessed over the Trans Top, it completely revolutionized the notion of a mere “targa” top that came before it. Instead of using your arms to lift the roof off, like some sort of savage, the Trans Top had little robot arms to lift the roof off for you. It’s a car from 2092, built right in 1992. The one that Japanese Classics has is also an SiR model, which I already noted but which you glossed over because you are too distracted by that glorious little robot who lives in the trunk. The SiR, with its 170 horsepower, was one of the first production cars to squeeze out over 100 horsepower per liter of engine displacement, and it buzzed all the way up to a still-impressive 8,200 RPM. 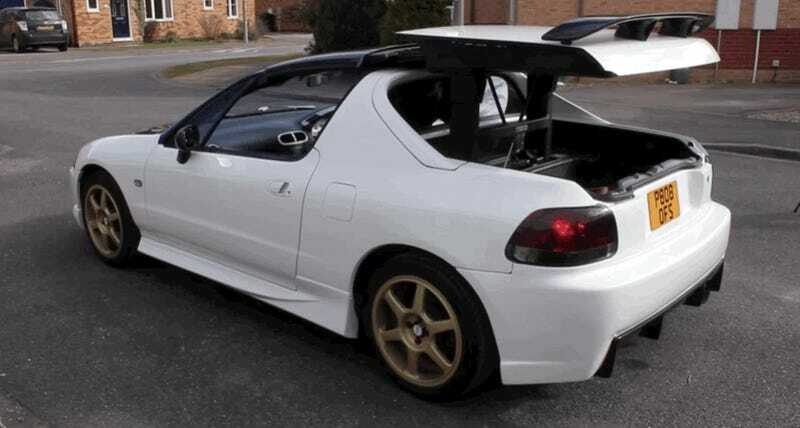 Plus it’s got a vaunted Honda five-speed manual transmission. These things are supposedly wildly hilarious and fun because of that, and it has a little robot in the trunk to take your top off for you. Someone else buy this thing so that I don’t have to. I really have enough cars in my life right now. Just go on and buy it. And then let me drive it.